Press on a square to mark X. Make a line to win. from the alphabet to guess the word. Point and click a square to search for battleships. Simple dice generator. Roll online dice. Play paper and pencil logic games to train thinking. The paper and pencil games are small online games, up to 1 MB, which include all logic games, which may be played with regular pen and paper. Play paper and pencil games online. Popular pen and paper games and tests made for a computer. Famous paper and pencil games. Fun Paper and Pencil Games Collection. 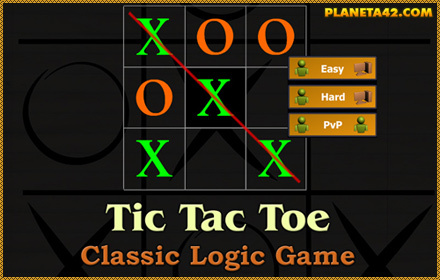 Tic Tac Toe - Tic-tac-toe game for computer. Press on a square to mark X. Make a line to win. Hangman - Play Hangman game online. Select letters from the alphabet to guess the word. Sudoku - Fill in all the empty squares without using the same number twice. 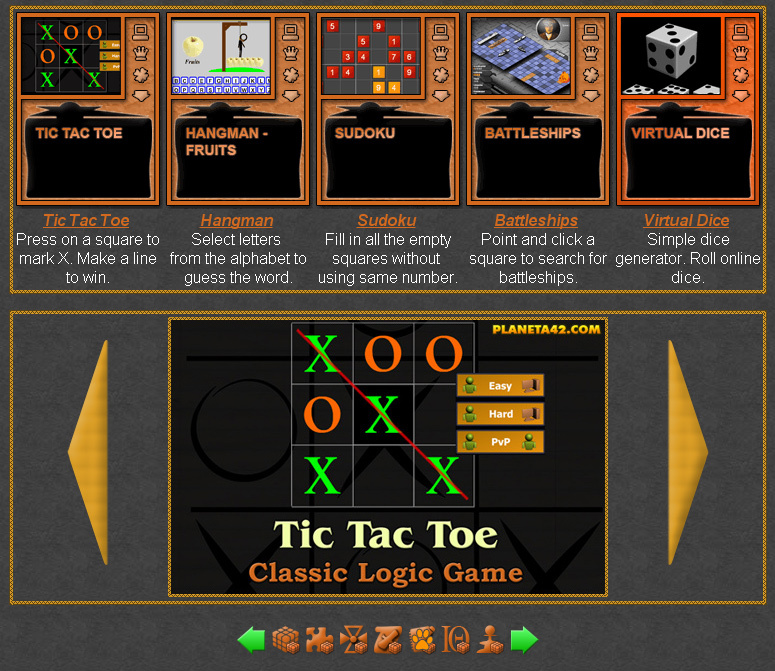 Battleships Game - Point and click a square to try and hit opponent's battleship.